There are times as a beekeeper that we realize that our bee hives might be compromised in their current location. This happened to me and so today I’ll explain “How to Move a Bee Hive”. Moving a bee hive is simple, as long as you play by the bee’s rules. Honeybees are very intelligent. Bees memorize the hive’s location by the position of the sun as well as by landmarks. You cannot just pick up a beehive and move it! Beekeeping simply doesn’t work this way, and you will ultimately lose your bees. 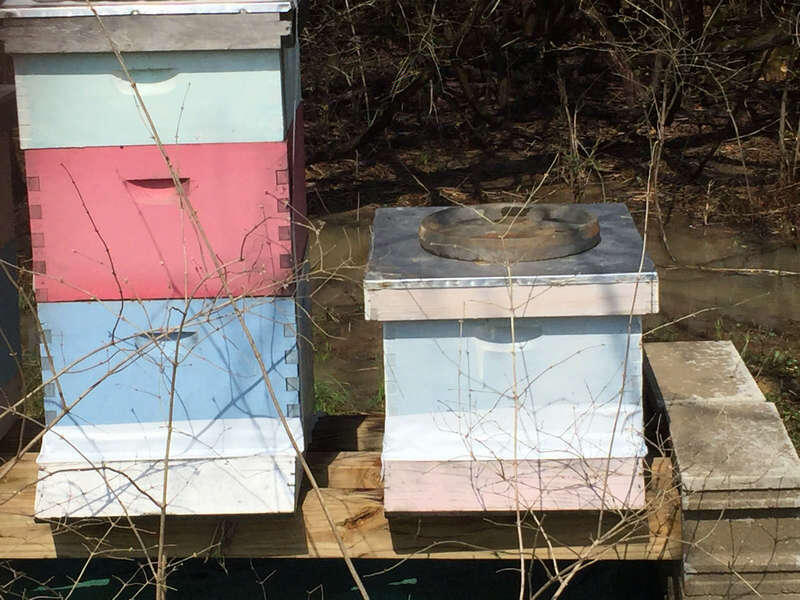 Recently, I decided to relocate my hives to a different location on our property, about 200 feet from the original location. The new location would provide much needed shade as well as a water source, using swales and river rock. 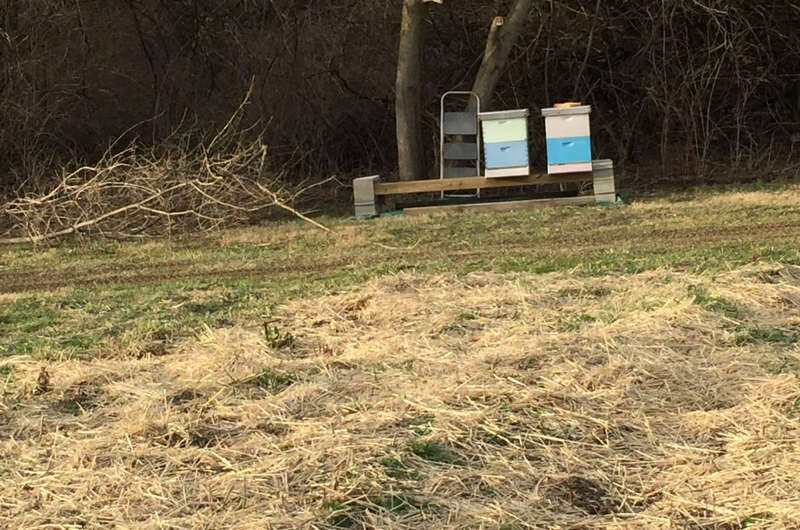 Deciding when to move your hives is key. Winter is probably the best time to move them, due to their inactivity. However, winter brings it’s own issues, like getting through snow and muddy pastures. But if you can do it, I totally recommend winter time, along with the following instructions. It’s the first part of April here in Ohio, but the weather is still a hot mess. One day it’s snowing, the next day it’s pouring of rain. The key time to move your hives is when the bees are not active and all of them are inside the hive. This could be a cold day or even a rainy day. 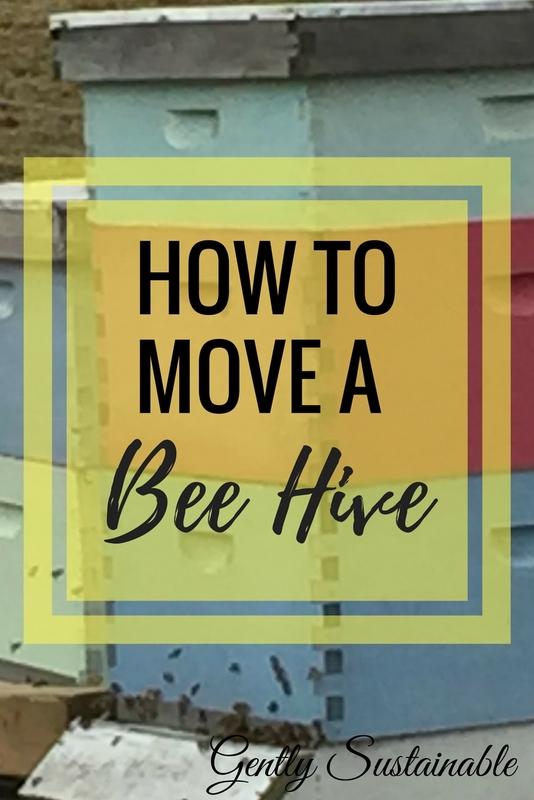 If you find yourself in the summertime needing to move a hive (I don’t recommend this), you’ll need to go out to your hives at night to prepare them for the move. I’m not into nighttime beekeeping, just sayin’. Don’t be overconfident and think you won’t need it. Things happen. I just feel safer with a bee friend to help with this kind of thing. You never know when something could go wrong, it’s always best to have another beekeeper with you. Mud has been my problem. However, it cleared up long enough to get the job done. There would be few things worse that loading up hives, only to get stuck in the mud. Bummer! Since you’re going to be blocking your bees in for a few days, make sure they have either honey stores. If not, feed them before moving them. The point here is that the bees are all inside the hive. Once you’re sure of that, put your entrance reducer on, then put duct tape over it to hold in place. Really make sure you’ve got that entrance covered and secure. 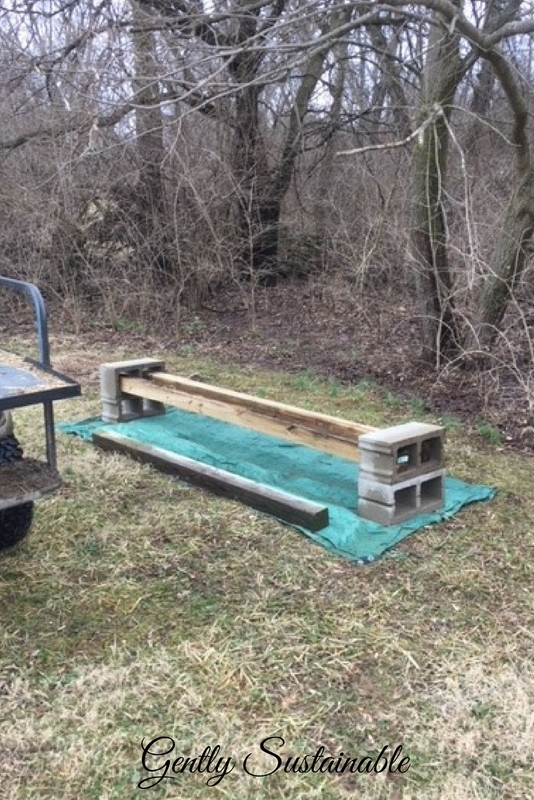 Next, use an industrial ratchet strap to secure the hive all the way around. Lift the hive (you might need help) onto your truck or utility vehicle. SLOWLY drive to the new location and consider having someone walk behind the vehicle to keep an eye on hives, if it’s not too far away. We don’t want a hive to tip over! Gently place the hives in their new location. Keep the entrance closed for at least 24 hours and preferably 3 days. 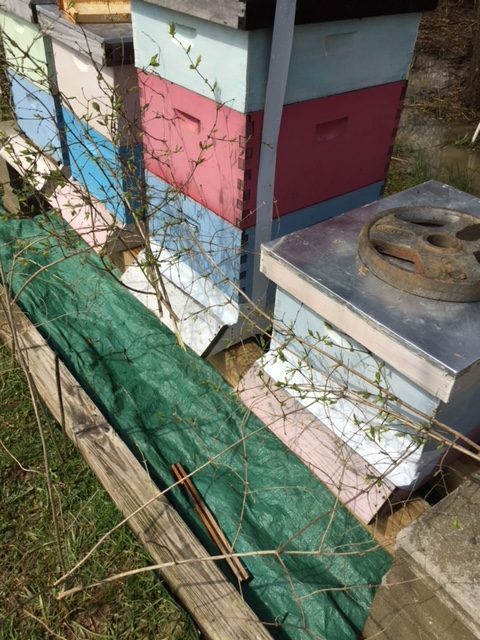 The bees need time to re-orient themselves to their new location. Otherwise, they will go right back to the old location and you’ll lose your hive. Also, give your girls a little ventilation by pulling out the bottom board a couple of inches. There is a “3 Feet or 3 Mile” rule with bees, which says that you can move bees less than 3 feet or more than 3 miles and they won’t need to re-orient themselves. I’m not sure about this, and frankly prefer to be on the safe side. I think it is well worth a few days to secure the hive’s security. I currently have hives all taped up for 36 hours. After that time, I will release them but ONLY after I have placed a distraction in front of their entrance. This should be a well-leafed branch of some kind, so that the bees will run right into it as they leave the hive. This will force them to re-calibrate their location one more time, so that they can find their way back. The bees should circle around the diversion a time or two, and then go on their way to forage. The branch can be removed once the hive is fully active that morning. That, my friends, is how to move a bee hive! Now, all is happy in the apiary! Want to learn more about getting started with bees? 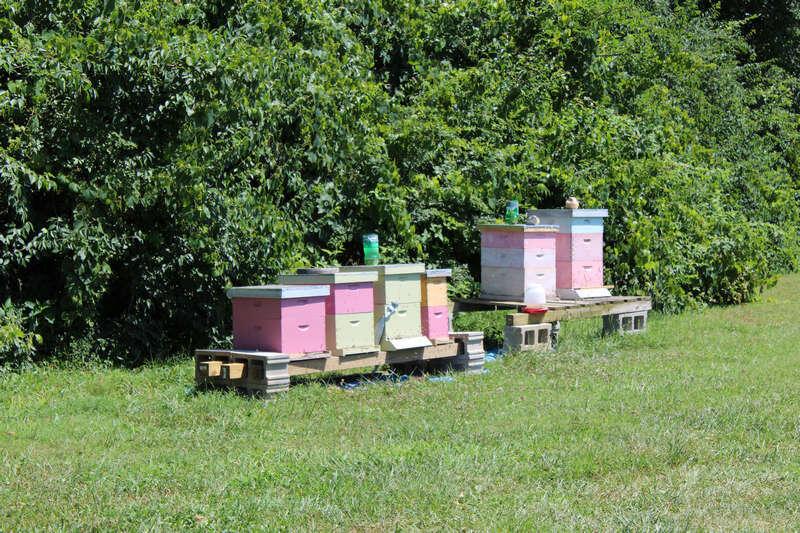 Should you buy a package of bees or a nuc?